Travelodge London Liverpool Street London, Hotel England. Limited Time Offer! 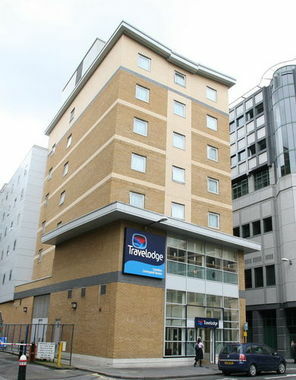 29 minutes byRead more car distance from the center, this hotel is located at 1 Harrow Place, in the north-east section of London, which is ideal to discover the city.The Travelodge London Liverpool Street has all the services one would expect of a two star hotel in London: n.a.. This establishment is more of a Family hotel .This hotel is part of the TG chain.This hotel offers a unique service : wheelchair accessible.You can reach London City in 34 minutes by car (the airport is 10 miles from the hotel). -Travelodges are great places for the whole family with comfortable family rooms and fantastic locations close to all major attractions up and down the country. Situated in Edmonton, in the heart of North London, Hythe Close Guest House is a 10-minute walk from Silver Street Station. The house offers free Wi-Fi, free parking and rooms with air conditioning. In leafy Palmers Green, these apartments offer free Wi-Fi and free parking. The rail station is a 3-minute walk away, providing access to central London.